Even if you don’t live in a drought-prone area, saving water is a good way to conserve and be kind to the planet. Plus, unless you have a well on your property, your water bill reflects how much water you use, and we tend to use the most water over the hot summer months. Use the following tips to save water during summer. Watering the lawn is the biggest source of water consumption for most homeowners. Since the heat of the sun causes water to evaporate quickly on sunny days, it’s best to water in the early morning. Save water during summer by using a drip irrigation system to avoid wasting water sprinkling driveways and sidewalks. Install an automatic timer for your irrigation system. Set your lawnmower blade on high and let your grass grow a little taller. Longer grass shades the soil underneath minimizing evaporation. The grass will develop a deeper root system and your lawn won’t need to be watered as often. If you live in a really dry area, consider replacing thirsty grass with a drought-tolerant garden that doesn’t need watering or mowing. A simple way to save water during summer is by using a rain barrel. Place it underneath your gutter’s downspout and reuse the collected rainwater to water your garden and outdoor plants. 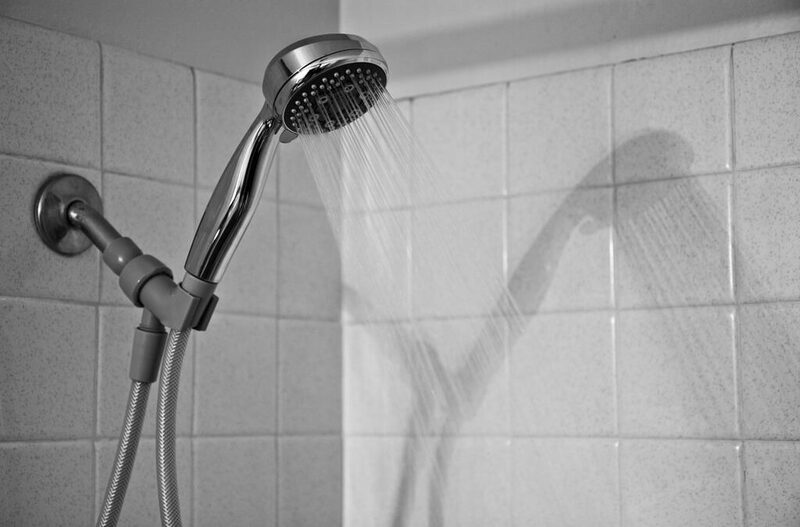 Save water during summer by cutting out long, leisurely showers. Experts say trimming off two minutes of shower time may save as much as 1,750 gallons of water per person each year. Use a bucket to collect the water you use to wait for the shower to warm up and use it for another purpose. Every little bit of water saved adds up to help reduce your water bill and environmental impact. Consider increasing water efficiency by installing water-saving shower heads, toilets, and faucets. If you have an outdoor pool, invest in a pool cover to save water during summer. Cover the pool when it’s not in use. This will cut down on water evaporation caused by sunlight. Washing your car at home can take as much as 100 gallons of water. Commercial car washes use much less for a small price. This summer water-saving tip will also save you time and effort. Hidden leaks around the home can add up to lots of wasted water. To check for toilet leaks, add a few drops of food coloring to the toilet tank. Your tank is leaking if the colored water shows up in the toilet bowl. This can waste as much as 100 gallons per day. An inexpensive rubber flapper will likely solve the problem. Make sure the replacement you purchase fits your toilet’s make and model. Most people do more laundry in summer and the extra loads can put a strain on your washing machine hose. Make sure yours is securely attached and free of kinks to avoid leaks. Replace hoses that show wear and tear. At least once a month check all your pipes and faucets for leaks. A leaky faucet can waste as much as 1,500 gallons of water per year. Tree roots can damage pipes, especially in summer as they grow down to seek moisture. A telltale sign is backed up water anywhere in the house. Call a plumber and have this checked. When you make efforts to save water during summer, you will discover it is easier than it sounds and your efforts will also reduce your water bill. Try the above tips and do your part to conserve water. Scout Home Inspections provides home and commercial building inspection services including water testing to New Hampshire and Maine. Contact us to schedule an appointment for our any of our services.